Finding lodging options that won't break the bank at the height of Saratoga Race Course's meet in August can be a challenge. Save money for betting on the horses or a night out downtown with these lodging options. Properties listed below have rooms for under $170 a night in August and less than $100 a night in the off-season. Nightly & seasonal rooms available only a few minutes from Saratoga. Enjoy quick access to I-87 in addition to clean and comfortable rooms. 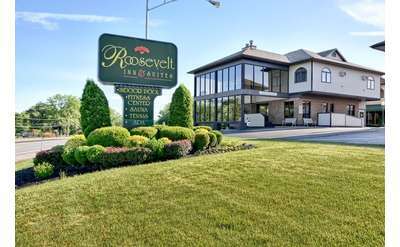 Enjoy affordable rates and a quiet and relaxing motel just minutes from Saratoga's biggest attractions. Hang out and grill on the lawn in the evening after a great day at the track or walking around downtown. ClearView Motel has single and double bed rooms at affordable rates. 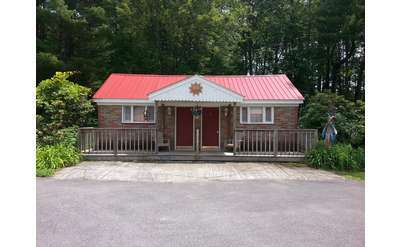 Only 20 minutes from Saratoga Race Course, this motel is close to dining, shopping, and other attractions. Located 20 minutes north of Saratoga, the Budgetel Inn is an affordable lodging choice year-round for visitors to the Saratoga Race Course and Downtown Saratoga Springs. Stay only 15 miles north of Saratoga Race Course and relax comfortable rooms with renovated bathrooms. Sit outside and enjoy panoramic views of the Adirondack foothills. Choose from standard motel rooms or efficiencies when you stay at the St. Charles Motel. Walk to all of the great shops and restaurants on Broadway and around Saratoga or stay after a concert at SPAC. Book a room at The Springs Motel to be close to all the action in downtown Saratoga Only 5 blocks from the Race Course, 2 Blocks from Spa State Park, and 2 Blocks from historic Congress Park. Centrally located in historic & beautiful Saratoga Springs, N.Y. Close to shopping, golfing, boating, nightlife & entertainment. Enjoy our welcoming rooms, spacious suites, cozy beds... and wake up to a free, hot breakfast. Saratoga's Choice Hotel. A short drive from the Saratoga Race Course, Town'N Country Motel offers budget-friendly room rates. Walking distance to nearby dining options. Visit Robin Hood Motel for a total value Experience just minutes away from SPAC, the State Park, Racetrack, Raceway & Racino. Enjoy studio apartment-style accommodations with full kitchens and living space at the St. Francis Motel. Only a short walk from shopping, dining, Congress Park, and other attractions in Saratoga.